This is it. We are in the single digits in the countdown to Christmas. At this point in time when we were younger, my sisters and I and our fourth sister (cousin) Chrissie, used to start practicing for Christmas. Yes, you heard me correctly. Practicing for Christmas. Here’s a breakdown in case you’d like to try it at home. Step 1: Go down to the basement and dig through the toy chest for anything that looks exciting, but more importantly easy to carry up the stairs. Select 3-4 items per person. Step 3: Go upstairs and get under your matching Laura Ashley bedspreads. Set an alarm for approximately 3-5 minutes later. Turn off the lights, whisper a few giggly “Christmas is tomorrow! !” goodnight wishes, and dramatically drift off to sleep. Throw in a few fake snores for good measure. Step 4: When the alarm goes off, fly out of bed and bound down the stairs screaming SANTA CAME SANTA CAME all the way down. Gentle pushing and shoving to get down there first is allowed, but keep in mind this is a dry run. We don’t need any injuries. Step 6: Rearrange, reset alarm, and repeat. Over and over and over. Just in case you want a similar dry run for baking cookies for Santa, these are a good option. 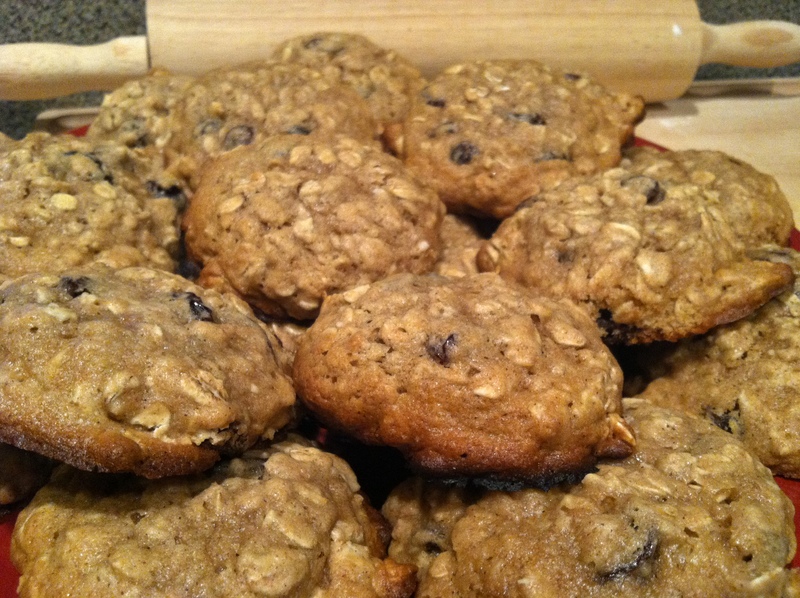 They’re lower in fat and calories, so you won’t feel too guilty eating them before the holidays. And maybe they’re a little more heart healthy for the man in red. Combine butter, sugars, and applesauce. Add eggs, milk, and vanilla. 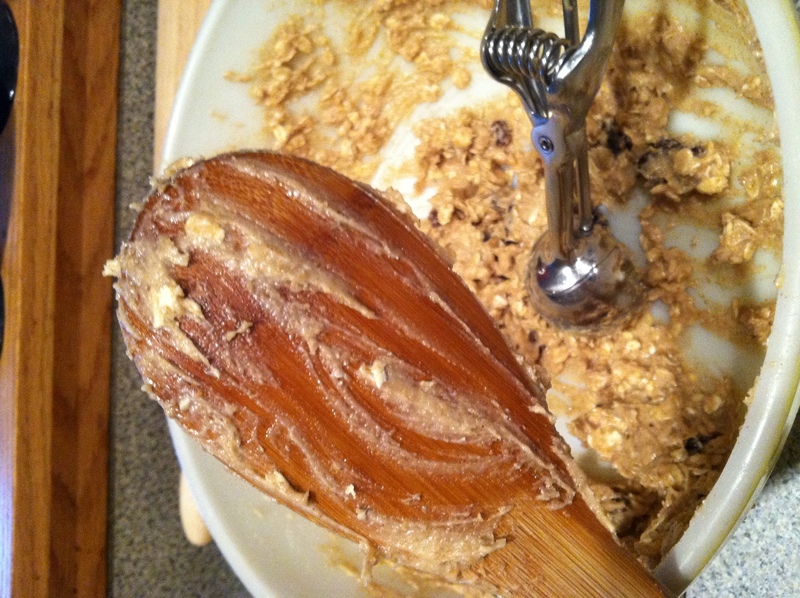 In a separate bowl, combine flour, baking soda and cinnamon. 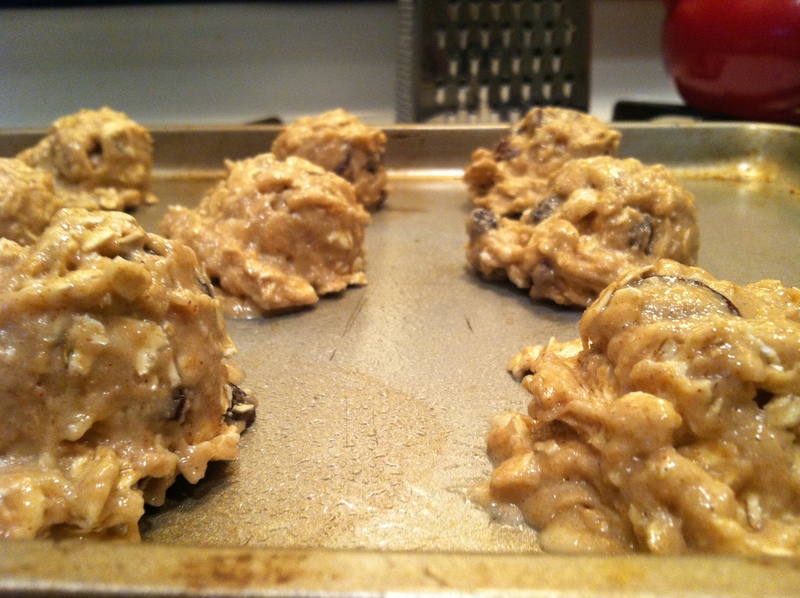 Gradually incorporate into wet ingredients, then fold in oatmeal and raisins. Place on greased baking sheets and bake at 350 degrees for 8-10 minutes. 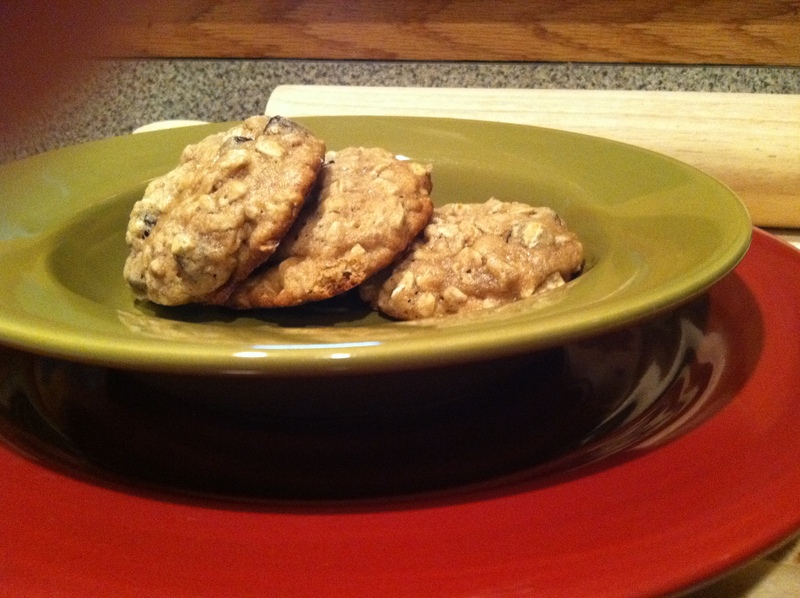 Makes about 40 small cookies at 100 calories each. Of course mine are bigger, and I can never get to 40 cookies with my quality control checks. I’m going to get excommunicated from my family for revealing this story, but I recommend trying it to get yourself in the Christmas spirit.